I'm quite new to the graphic novel game, but luckily I have plenty of friends who aren't and were able to offer me some great suggestions when I asked for recommendations on Twitter. I visited Gosh Comics armed with a long list but managed to whittle it down to just four titles in the end. Here is what I got. First up I grabbed Sandman. "an occultist attempting to capture Death to bargain for eternal life traps her younger brother Dream instead. After his seventy-year imprisonment and eventual escape, Dream, also known as Morpheus, goes on a quest for his lost objects of power. On his arduous journey Morpheus encounters Lucifer, John Constantine, and an all-powerful madman. This book also includes the story "The Sound of Her Wings," which introduces us to the pragmatic and perky goth girl Death." 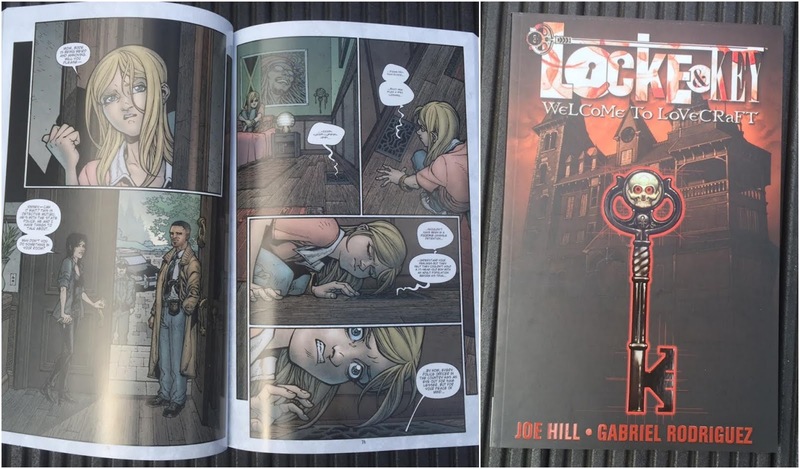 Next up we have Locke & Key. When this was first recommended to me it wasn't one that really stood out, but when I saw the word Lovecraft on the cover I was instantly sold. Locke & Key tells the story of Keyhouse, a haunted mansion in New England. Anyone who dares to walk into the mansion is changed. There is also some sort of evil hate filled creature there too. It sounds suitably creepy and I can't want to get a start on it. 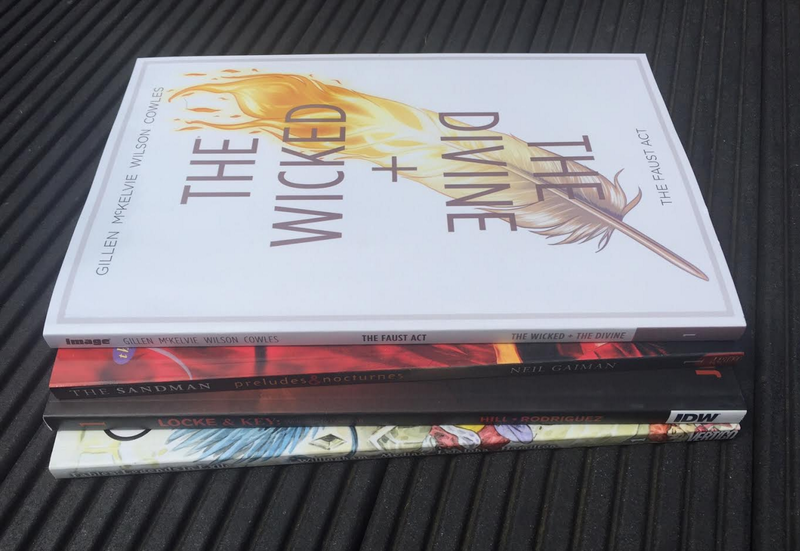 The Wicked + The Divine is one that was recommended to me by quite a few people, and was definitely top of the to buy list. I know they say not to judge a book by it's cover, but look how incredible that cover is! In The Wicked + The Divine, every ninety years twelve gods are reincarnated as humans and are adored and hated by everyone but after two years they die. Just look at that gorgeous art work! I've actually already started on this one and so far from what I can see a lot of it is based in London which really appeals to me too. Lastly we have Fables. This is another one that was high up on my list. The artwork is very different to the others that I have picked up, as you can see it is a lot lighter in colour palette and slightly softer looking. 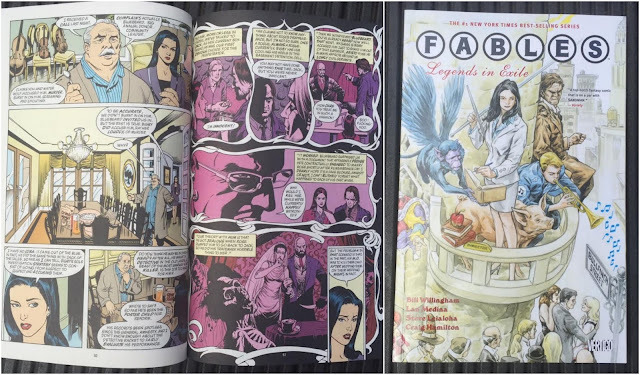 In Fables a creature has conquered the lands of the fairy tales and all the inhabitants were forced into exile and have to try and get along in modern day New York. The magical people have created their own society inside a luxury apartment building and all is well until Snow White's sister, Rose Red is murdered. It sounds like the perfect modern day fairy tale. That is it for my first haul. I'm very happy with my purchases and can't wait to get reading them. I know it's silly but I love how glossy and gorgeous they all look on my book shelf too! Have you read any of these graphic novels? Or do you have any more you would recommend? I definitely need to pick up Saga next time I go out! 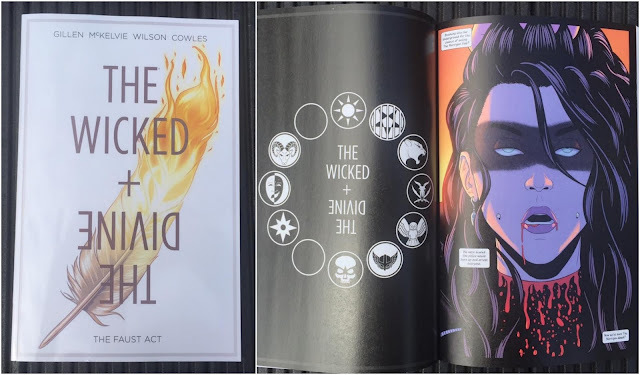 Ooh I've seen loads of people talk about The Wicked & The Divine and I'm always looking for more graphic novel recommendations, so I definitely need to pick this one up soon! I hope you enjoy them all! Thank you! I've just finished it and immediately picked up volume 3 and 4 so would definitely recommend them. 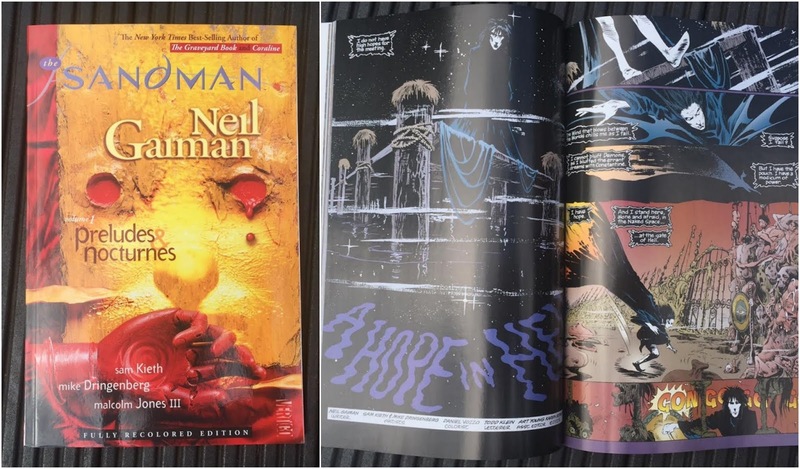 I've been meaning to try some graphic novels for a while myself, and the Neil Gaiman one is definitely high on my list too. I love all things to do with fairy tales, so I may have to check out Fables soon as well. I'm pretty sure I've even seen these in my local library! Thank you! It's so cool that your local library has graphic novels, they are shutting mine down soon :( Definitely recommend Fables!